Speaking during his visit to Canada, Belgian Prime Minister Charles Michel confirmed that Belgium has extended the Belgian Air Force’ mandate for missions in Syria until the end of 2017. Michel said the decision would be formally confirmed during the next session of the Council of Ministers in Brussels. The small European country has earmarked another 17 million euro for the operation. The current mission mandate was coming to a close in June, but it will be extended for another six months. Under the new mandate, some 100 personnel and four fighter jets will be stationed in Jordan. The Belgian government and military have, not unlike its “partners” been ambiguous about the legal mandate for the mission. The deployment of Belgian troops was approved by the Belgian parliament, but questions about the status of the mission under international law remain unanswered. Belgium has no mandate from the Syrian government – at least no overt mandate. Belgium has no mandate based on a UN security Council resolution either. In this regard it can be interesting to look at how the Norwegian government “constructed the legality” of Norwegian troops role in Syria. Iraq, in 2014, had requested help from the UN Security Council to combat ISIL, including attacks by ISIL launched from Syrian territory. 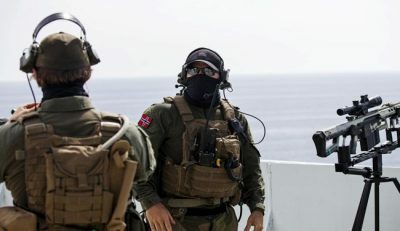 Moreover, it states that the Norwegian presence in Iraq today is based on the Iraqi request for help based on the UN Charter’s Article 51 on collective self-defense. That ISIL can’t be defeated by limiting the fight to Iraq. That UN Security Council resolution 2249 from November 20, 2015 concludes that ISIL poses an extraordinary threat to international peace and security. That the UNSC called on its members to fight ISIL everywhere, including its enclaves in Syria. That self-defense against non-state actors who operate on the territory of another state while this state is unwilling or incapable of combating such non-state actors, is legal and covered by the provisions of UNSC resolution 2249. Moreover, there is a press release from Norway’s Defense Ministry quoting Defense Minister Eriksen Søreide repeating the above mentioned. The third document is a memo styled to the Foreign Ministry’s Foreign Affairs Council, repeating the same arguments UNSC resolution 2249 UN Charter Article 51 and the claim of self-defense against ISIL because Syria is unwilling or incapable. The document is from January 20, 2016. The fourth and final clue is another press release from March 27, 2017, in which Norway’s Defense Ministry announced that it has extended its operations against ISIL.